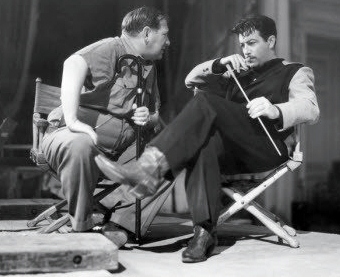 Undercurrent, 1946, is playing on Turner Classic Movies on Friday, September 28 at 2:15 p.m. est. Closed captioned. All of the criticisms of this movie might well be flushed down the loo. This is one powerhouse of an interesting movie. 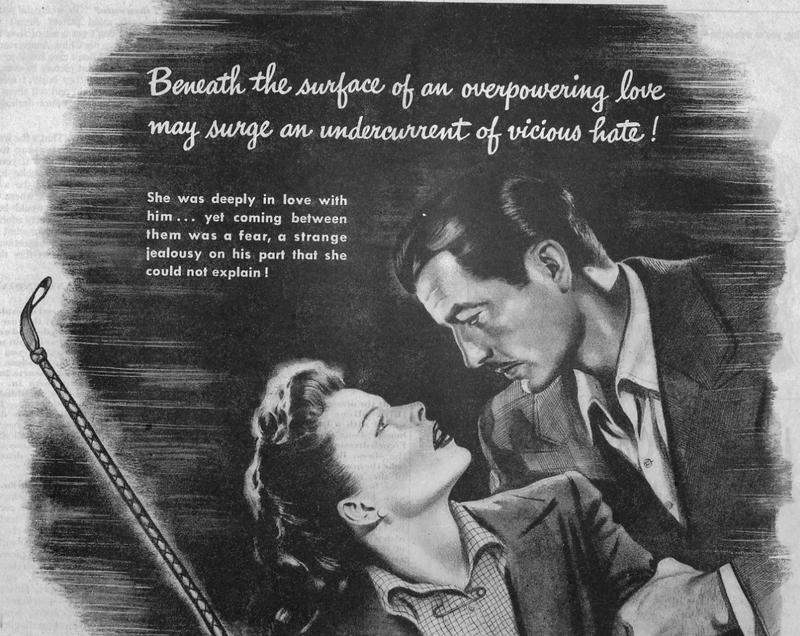 Call it Film-Noir. Call it Mystery/Suspense. Call it Psychological Thriller. Call it what you may…I call it: absorbing drama. It moves very deliberately…and the facts are revealed one by one, in true mystery fashion, until the fantastic, thrilling ending. 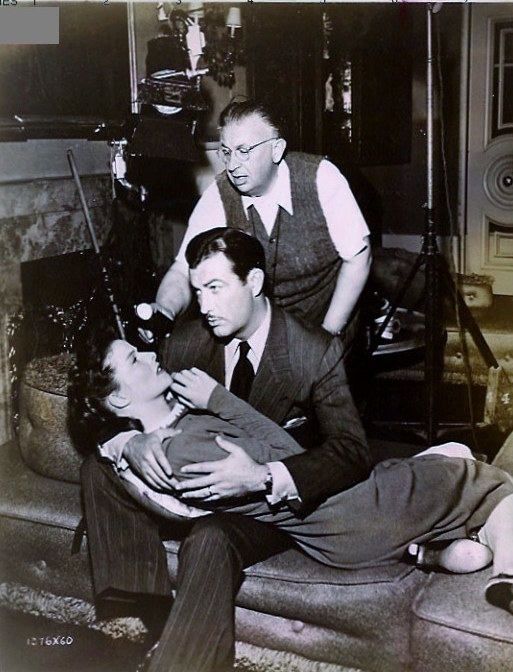 Those who say that Hepburn and Mitchum were miscast are just so wrong. 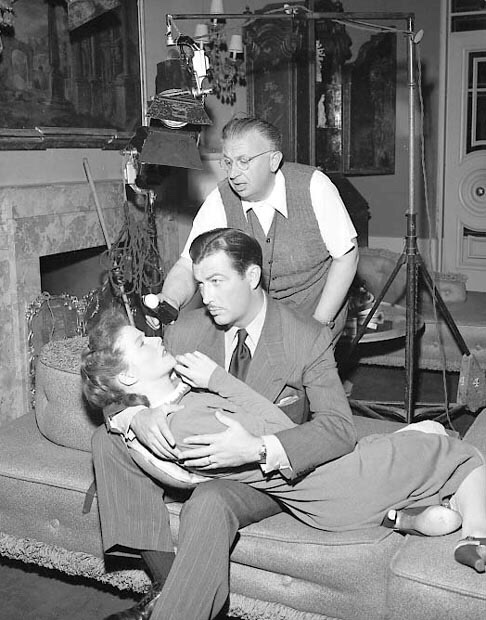 Hepburn wasn’t playing Hepburn here…she wasn’t Tracy Lord here. She wasn’t a know-it-all New England uppity snob here. Not a worldly character at all. She played a different character than I’ve ever seen her do. Hepburn doesn’t rely on her stable of clichés to capture our imagination here. 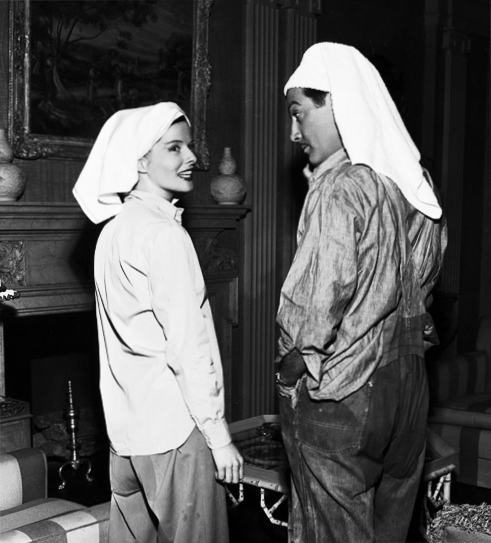 She does it with imagination and as few of the Hepburn cornerstone mannerisms as possible. Good result! 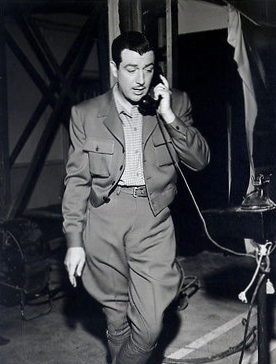 Robert Taylor is fascinating to watch. He has so many secrets in this role. And they reside behind his facade for us to watch and enjoy. He slowly swirls into controlled mania and desperate determination. Very fine, indeed. He should have been nominated for this one. 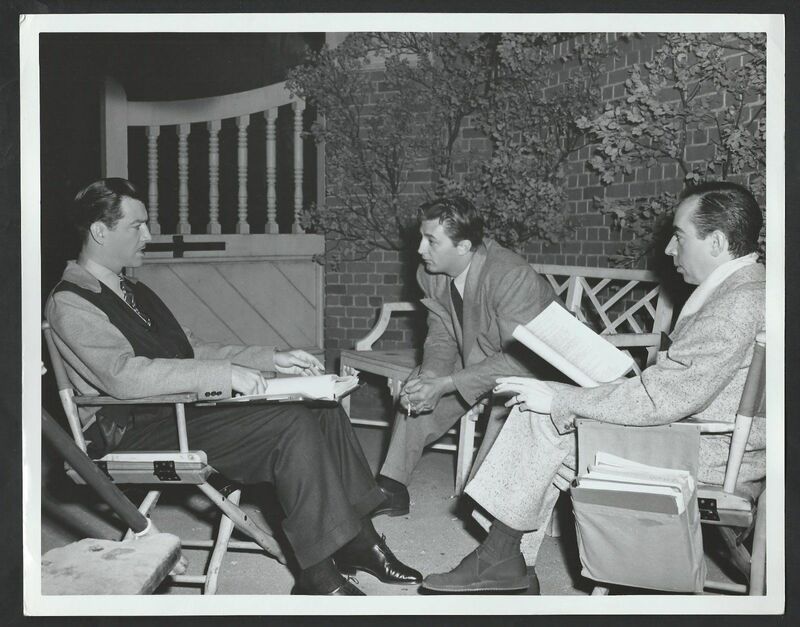 And then there’s Mitchum! 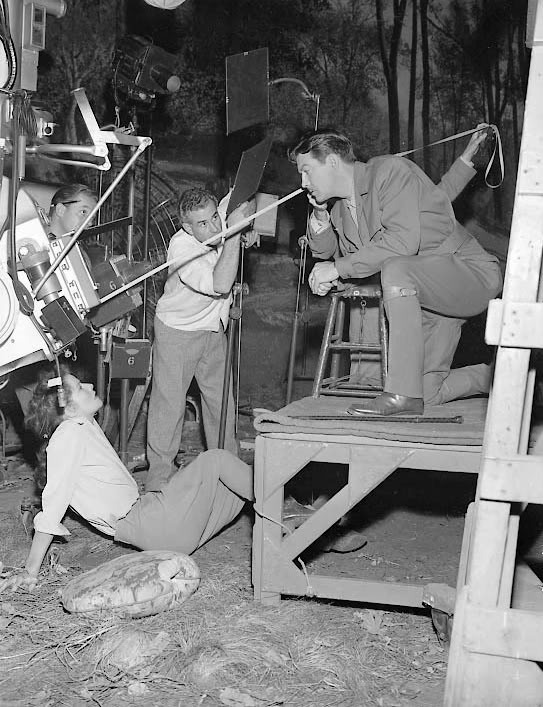 What can one say about Mitchum without gushing foolishly. Gee whiz…the first time you see him…he shows us a side of him we have hardly ever seen! He seems at peace, mild in character, mellow in mood…pensive…other worldly. Likable even! Never gruff or abrasive like we’ve seen him so many times before. What is unique about this story is that we really do not know what is going to happen next. We spend most of the movie residing in Hepburn’s character’s mind. Her wondering, her confusion, her search for the truth — at all costs. I was expecting not to like this movie. I was expecting it to be another formulaic Hepburn vehicle about high society. But this is where this movie takes a left turn into an underrated mystery. I enjoyed the use of the theme to the Third Movement of Johannes Brahms’ Third Symphony throughout the movie. It lent a delicious air of mystery, love and luscious pastoral passion to the whole affair. And to say that Vincente Minnelli was WRONG for this movie? Gee whiz! He was perfect! 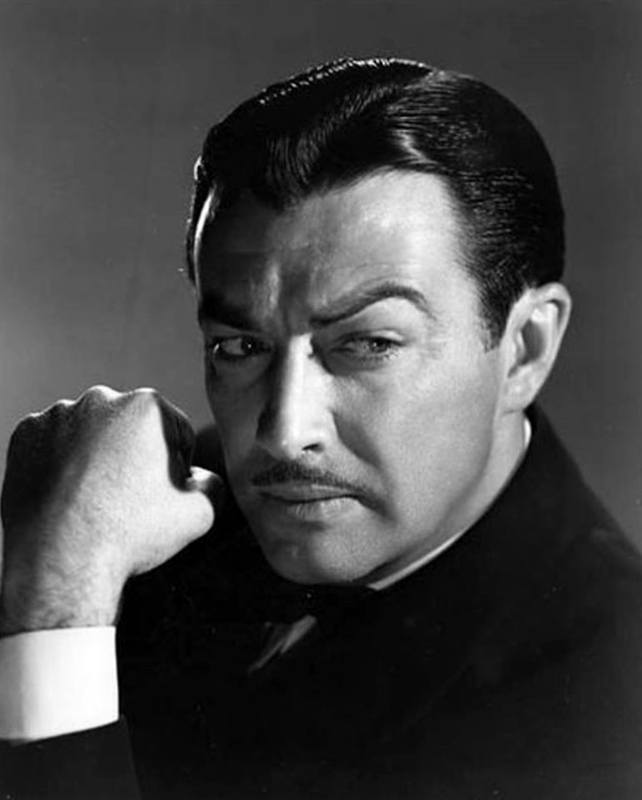 Why compare him to Hitchcock? 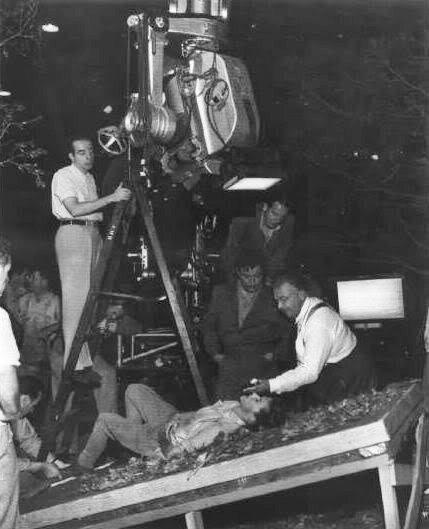 Minnelli has manufactured a mystery world all his own. Sure there are devices. All movies have devices. But they are handled so deftly…we don’t rely on them to make us aware of the story — they don’t get in our way. They heighten our interest and this very absorbing plot. Well done. I wish it had been a longer movie…it was THAT kind of movie. I recommend this one…Review by Enrique Sanchez, Miami, FL for the IMDB. 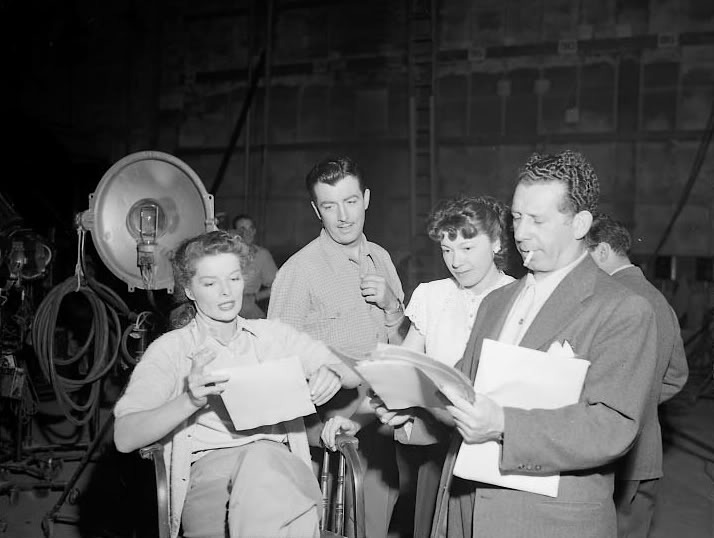 Left to right: Katharine Hepburn, Robert Taylor, George Cukor; Ms. Hepburn & Mr. Taylor; Ms. Hepburn, Mr. Taylor, Mr. Freund; Mr. Taylor. 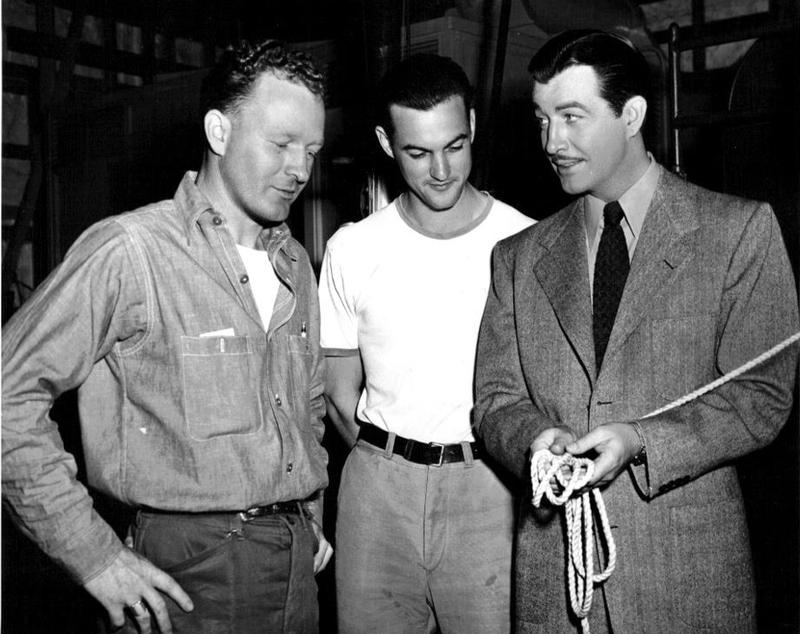 Left to right: Robert Taylor with Crew Members; Mr. Taylor, Robert Mitchum, Mr. Minelli; Ms. Hepburn, Mr. Taylor & 2 others. 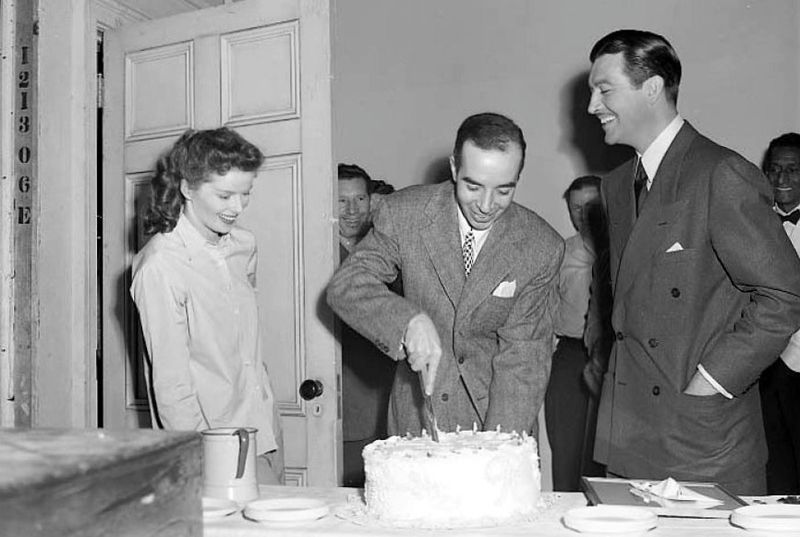 Left to right: Ms. Hepburn and others; Mr. Minelli and Mr. Taylor; Ms. Hepburn, Mr. Minelli, Mr. Taylor. 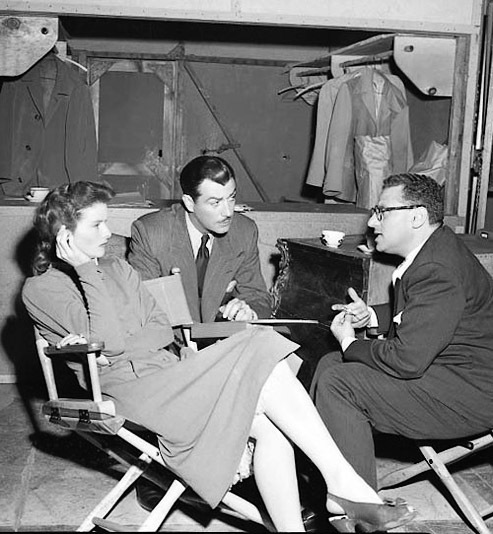 Left to right: Ms. Hepburn, Mr. Taylor, Mr. Freund; Mr. Taylor and Cinematographer Karl Freund. 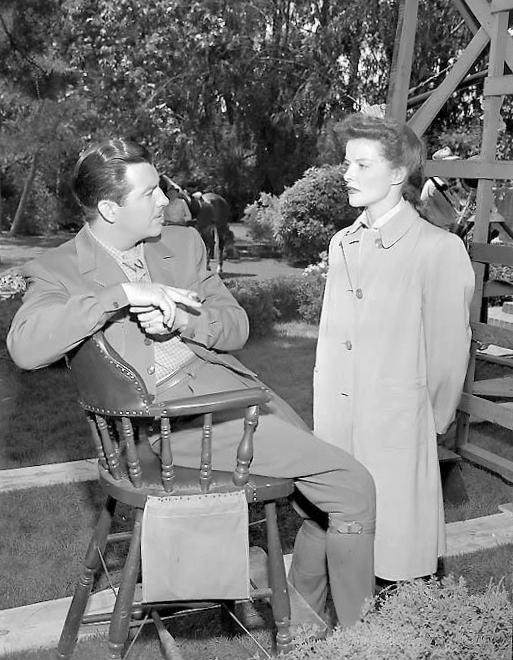 This entry was posted in Films and tagged acting, actor, celebrities, Charles Tranberg, drama, entertainment, gentleman, glamor, Golden Era, handsome, hollywood, Katharine Hepburn, matinee idol, MGM, movie stars, Robert Mitchum, Robert Taylor, TCM, Turner Classic Movies, Undercurrent, Vincente Minneli. Bookmark the permalink. 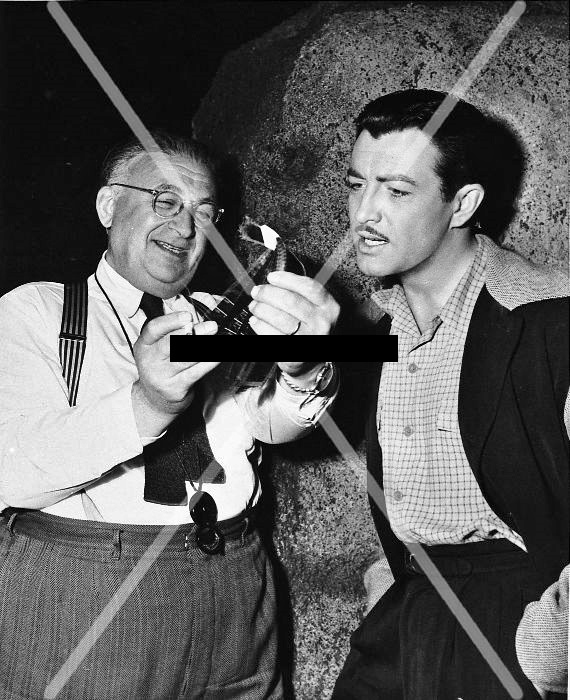 Excuse the correction but in one of the pics you mis-identified George Cukor as Karl Freund. It’s the first one on the top row.